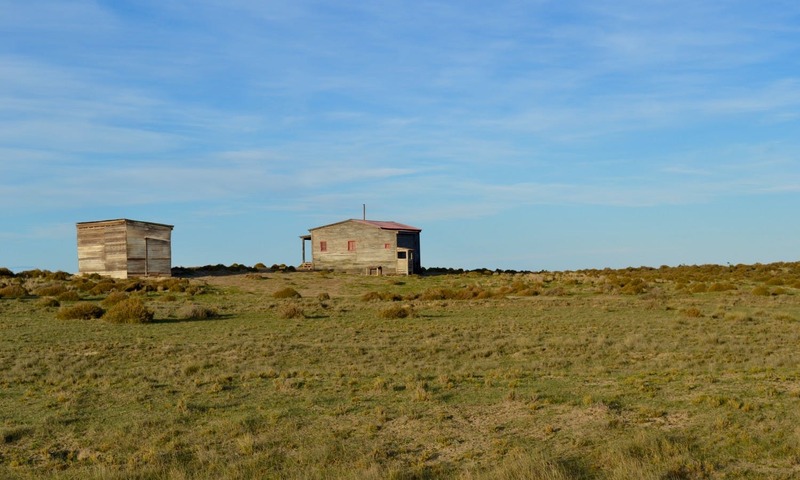 Driving around the Patagonian flat steppe of the Valdes Peninsula brings you back to basics. Between a dwarfing experience of seeing whales up close while walking among elephant seals and the car getting stuck in muddy gravel roads in the middle of nowhere, here is an account of an unusual experience in Argentina. The Valdes Peninsula in Argentina is a funny shaped piece of land shooting out into the Atlantic, and a slightly unusual holiday destination for travelers who don’t have a strong interest in marine biology. The more than 3,600 squared kilometers of Patagonian steppe–and unfavorable weather for everything aside from whale watching–made it the perfect final adventure for our summer trip to Argentina. Practically opposite of Salta in terms of geography, weather, colors, culture, comfort and cuisine, the Valdes Peninsula’s desolate stretches of flatland, blue ocean and infinite sky offer a glimpse of Patagonia for those who travel to Argentina at the “wrong time” of year to visit the “ends of the earth”. And you’d be mad to miss it! We arrived in Trelew, the closest airport to Puerto Madryn, in the north east of Chubut Province. This area doesn’t only boast the UNESCO World Heritage Site of the Peninsula, but also an unusual Welsh heritage, with the first people who hail from that little corner of Britain arriving in the Chubut Valley in 1865, establishing a “New Cymru” in Patagonia. Immediately after you leave the airport, you get the idea that you’re somewhere totally different from anywhere else you have ever been, and once you leave Puerto Madryn (an obligatory stop for the night if you arrive in the evening as the Valdes park doesn’t let anyone in after 8.00pm) – a not so special modern port town, the feeling grows stronger. Perhaps it was the rain and low clouds that added pathetic fallacy to our trip, but as we drove the 80-km route to the park entrance, the feeling that we were going to fall off the edge of Argentina (or the world) became stronger. Once you arrive at the park’s entrance, the feeling of impending doom is not mollified by a forced stop at the park rangers’ headquarters, just a few kilometers past the checkpoints. Here you are given a map, multiple warnings about everything and then sent on your way with an emergency phone number and the knowledge that there is basically no mobile reception in the whole peninsula. Shortly after leaving the headquarters, the roads become gravel and red earth (mud as the weather was not clement), and you start to understand why the Rangers were so cautious. 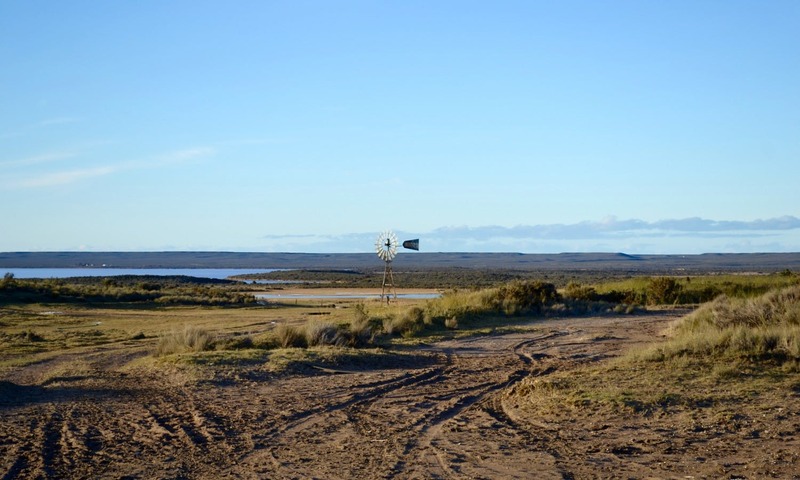 The Peninsula has 400 kilometers of gravel roads (difficult to navigate in a cheap Argentine rental with two-wheel drive) which link to a number of points of interest. 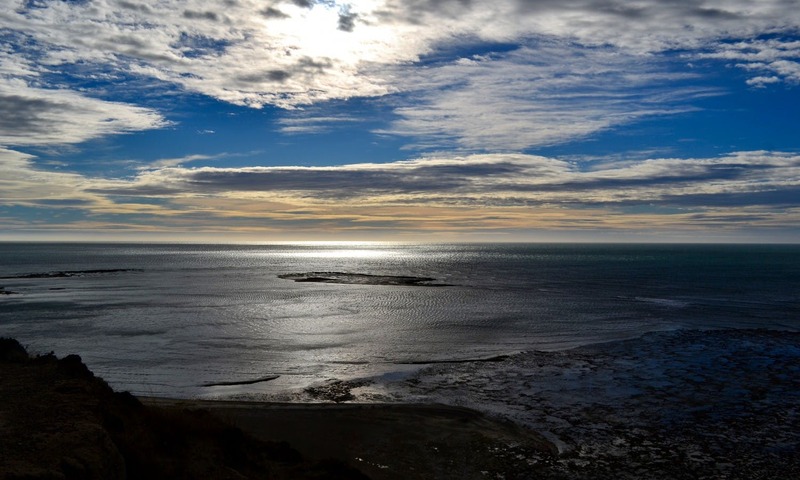 The first stop is the “capital” of the Valdes Peninsula, Puerto Piramides. Passing by a welcome sign with a massive whale painted on it, you’re able to gauge what the village is all about. There’s a port that caters almost exclusively to whale watching companies (there are many to choose from), but the single street settlement feels decidedly more surfer/hippy than commercial. There are a couple of souvenir shops and plenty of restaurants (the only ones open during low season on the entire peninsula) where you can enjoy local seafood and robust Patagonian wine in a colorful and laid back atmosphere. But the real reason to visit the Valdes Peninsula, aside from the feeling of adventure or the hunt for something “different”, is the marine fauna. Whale watching is obligatory, and an awe-inspiring experience, even if you’re terrified of whales (I’m a wimp, I know). 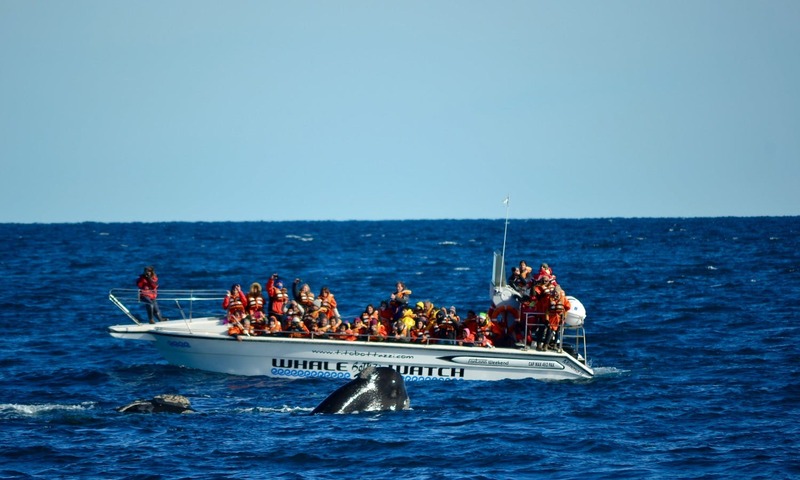 The Southern right whales, gentle giants, choose the sea around the peninsula to mate and give birth from August to November, and come unabashedly close to the boats just to see what you’re up to (not to eat you, as I was promised by the guide). 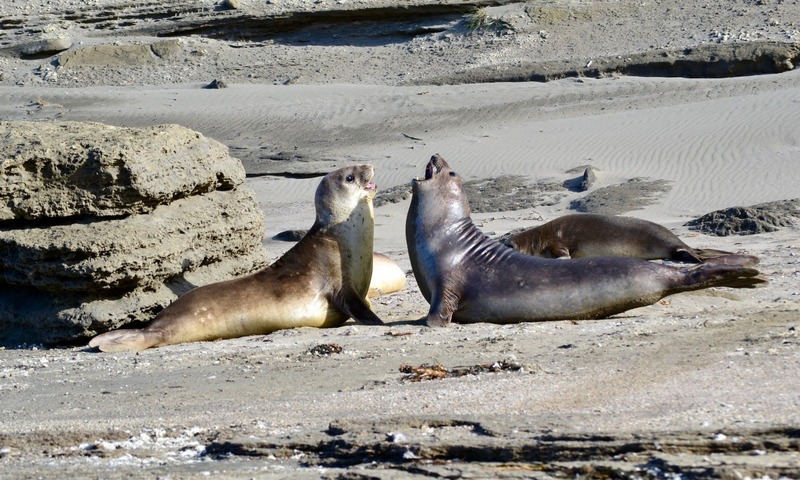 The marine park hosts a number of other marine mammals including Punta Piramide’s South American Sea Lion Colony (a short walk from the center of town) and inhabited almost year round. 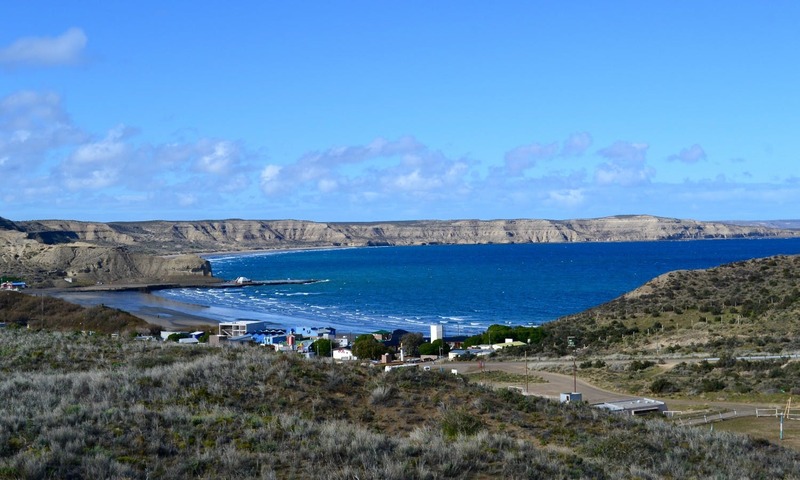 Punta Pardelas, not far from Puerto Piramides, where you can scuba dive or snorkel with sea lions during the high season. 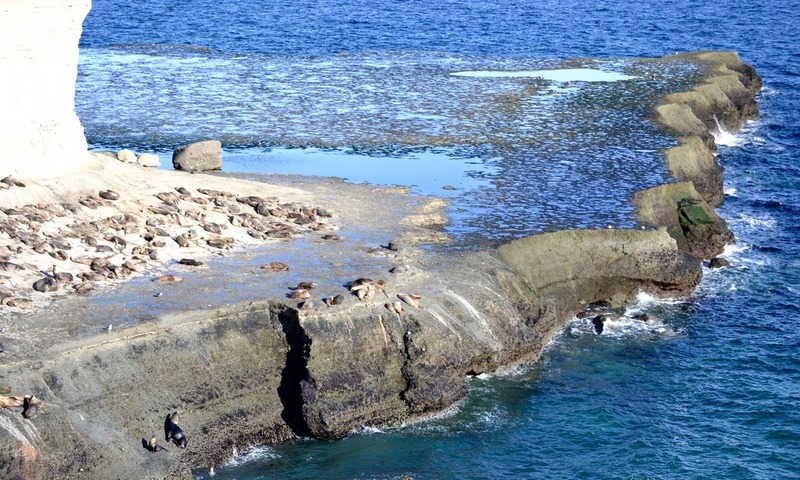 Caleta Valdes is usually inhabited by elephant seals, but deserted though incredibly beautiful when we visited while Punta Norte is also inhabited by elephant seals, sea lions, and Magellan Penguins from September to March. Here, in the windswept Punta Norte, you might also catch a glimpse of Orcas if you’re lucky. And if you’re really really lucky, you might witness them hunting for baby sea lions. In Punta Delgada, a stunning corner of the world, beyond a small gate looking towards the sea, there’s the Faro Punta Delgado Hotel do Campo, the hotel we chose for our Valdes Peninsula stay. This old lighthouse is a series of buildings, refurbished into a simple yet cozy accommodation. Here you can take refuge from the cold and bitter winds, dine on grilled local cordero (lamb), sip wine looking at the stars, or play pool or darts in the “pub” with the other guests. The hotel also provides horse rides in the area and an early morning or late afternoon walk amongst the elephant seals of the Punta Delgada colony: a real privilege. Driving along the Peninsula’s 400 kilometers of gravel roads (very slowly) might seems like a desolate and never ending journey to get from one wildlife viewing point to another, but this is one of those examples where it is indeed the journey and not the destination that counts. Between the estancias dedicated to sheep farming or horses, you’ll spot wild guanaco, mara (a weird hare which looks like a horse), grey foxes, the Patagonian armadillo, also known as peludo, literally an armadillo with brown bristly patches of fur emerging from under its shell (it’s so ugly I actually wanted one as a pet), and lots and lots of birds, including the lesser rhea, a funny brownish small ostrich-like bird. Completely unexpected, freezing cold, windy and desolate, it was the perfect end to a perfect holiday, and just the ticket to prepare ourselves for our last few days in the noisy, bustling, overcrowded Buenos Aires.